Main Features: Easy installation, simply 4 wired system. Monitor, unlock, hands-free call and talk. Ring volume, talking volume, chroma and brightness are adjustable. View angle: 68 degree. Monitor can support surface-mounted installation on the wall. Simple 4-wire connection,easy to install. It can be used in apartments, villas, hotels, offices, public buildings. Support max. 2 call panel, 4 monitors and 2 CCD cameras of security & surveillance equipment. 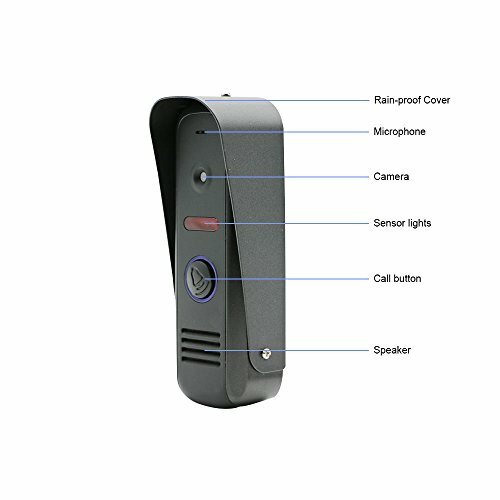 When someone press call button,the 4" monitor will ring and show the video,you can monitor the visitor, have dual way communication and unlock the door. Our outdoor call panel uses 1200 TVL pinhole camera, so it can offer more sharp photographic image. IR LED(120°) offset lighting can obtain better evening viewing. 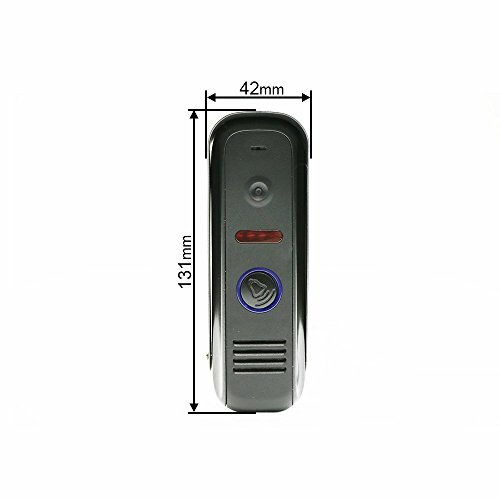 Jeatone video door phone kit can be used in apartments, villas, hotels, offices, public buildings. 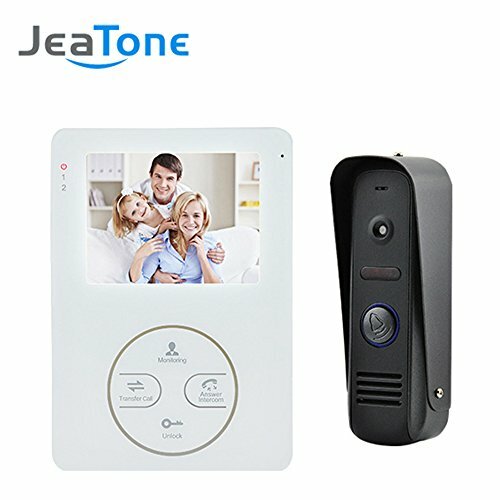 Product Description With Jeatone 4 wired video door phone (indoor monitor + outdoor call panel), visitor can use call panel calls, then you use indoor monitor unlocking, monitoring, intercom, taking pictures and recording video.